Myrtle (Wood) Dunning, Floyd’s sister, remembers that Floyd was very gifted intellectually. He graduated from college in northern Texas at age 19. He studied music (violin?) in college, but taught high school following his graduation. He found that he didn’t like teaching and subsequently became a pilot in the Army Air Corps. Time Magazine carried an article about the flight. According to an article about his death that appeared in the Evening Capital, Annapolis, MD on 04 Apr, 1956: “Floyd was a 1927 graduate of North Texas State Teachers College and received a master of science degree in meteorology from MIT in 1937. He was chief weather officer of the USAF in the South Pacific in 1942 and chief weather officer of the Air Force in Washington in 1943. From 1945 to ’47, he served with the Joint Brazil-US Military Commission at Rio de Janeiro and returned to the US for various assignments with the Air-Material Command at Wright Field, Dayton, OH. In June 1951, he became chief of staff of the newly organized Wright Air Development Center at Wright-Patterson AFB and joined the Air Research and Development Command Headquarters (ARDC) in Baltimore, MD in April 1952. He was promoted to Major General in July 1954 and assumed the post of Deputy Commander for Research and Development in August of 1955. Floyd died in a plane crash shortly after takeoff from Friendship Airport, MD en route to Elgin AFB, Florida. At the time of his death in April 1956, he was Deputy Commander for Research and Development, attached to the Air Research and Development Command Headquarters (ARDC) in Baltimore. He is buried at Arlington National Cemetery, VA(1). Howard first told me the story about General Wood when we were dating in the early 1960s. He also told me that General Wood was one of his father’s cousins. I parked that memory somewhere in the back of my brain until I remembered it recently. That’s when I asked him about it. “Didn’t you tell me your father had a cousin who was a General who did something spectacular?” I asked. Then he launched into the story I set out above. It was the same story he told me in the early 1960s. I stared at Howard’s pedigree chart on my computer screen. So I started looking. And I started a separate tree for the General and moved back from there. I connected them and returned to the General. The relationship calculator on his profile now disclosed that the General and I were fifth cousins twice removed. 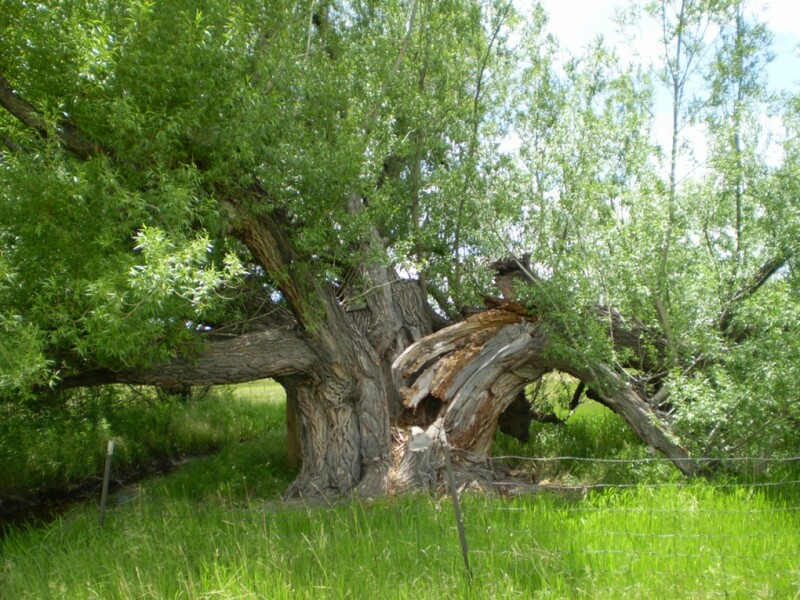 When I traced through the connections, I discovered that the General’s Wood line connected with my third great-grandmother, Nancy Haskins! Nancy was born November 7, 1807 in Macon County, Tennessee, and she died January 8, 1876 in Sulphur Springs, Benton County, Arkansas. On March 25, 1824, she married my third great grandfather– Joel Owensby Hood (1803-1891) —in Roane County, Tennessee. Nancy Haskins and Joel Hood’s daughter, Manerva Caroline Hood (1824-1901)–my second great grandmother–married my second great-grandfather, William David Spence (1827-1907). Their son, my great-grandfather, Salathiel Monroe Spence (1854-1921), married my great grandmother, Josephine Virginia Kessler (1865-1925), and their son, William Franklin Spence (1884-1973) was my maternal grandfather! Nancy’s connection with the General occurs on her maternal side of the family. Her parents were John D. Haskins (1782-1868) and Susanna Elizabeth C. Tinkham (1790-1860). And Susanna Tinkahm’s parents were John Tinkham (1754-1829) and Mary Wood (1756-1808). Mary Wood’s brother James Thomas Wood (1764-1799) was the General’s second great-grandfather. Their parents were David Wood (1737-1813) and Mary Watson (1745-1792). And that’s how the General and I became fifth cousins twice removed! I was staring at the pedigree chart, looking for Howard’s father’s connection with the General. Only this time I was searching for the General’s ancestors who lived in North Carolina. And I finally found them in his mother’s Raby line. The common connection is between the Raby line and Howard’s paternal grandmother’s North Carolina Dalton line! Yes! I knew the Dalton Gang had to squeeze in here somewhere! The common ancestors on the Raby line are William Raby (1723-1821) and Elizabeth Shires (1752-1783). Their son, James Raby, Sr. (1770-1861) was the second great-grandfather of the General. James Raby’s brother, Frederick Raby (1775-1850), was the father of Dempsey Manuel Raby (1800-1870), who was in turn the father of Mary Pauline “Polly” Raby (1826-1885). Mary Pauline married Columbus W. Dalton (1829-1901)–and that is the Dalton-Raby connection in Howard’s father’s family. Howard’s paternal grandmother, Minnie Brengle Grogan Beall (1869-1948), was the daughter of Martin Grogan (1828-1890) and Nancy Kinner Dalton (1830-1894), the granddaughter of James Hunter Dalton (1796-1880) and Nancy Critz (1799-1880), the great-granddaughter of Nicholas Dalton (1770-1838) and Rachel Hunter (1774-1863), and the second great-granddaughter of Samuel Dalton (1738-1789). Samuel’s father was Samuel Dalton (1699-1805)–progenitor of the Rockingham-Stokes County Dalton families, who lived to be 106! (I nicknamed him Old Samuel Who Lived So Long!) Some people believe that Samuel the Progenitor is also the ancestor of the infamous Dalton Gang, who expired in a shootout in Coffeyville, Kansas. Others believe that the Daltons descend from Samuel’s brother, Timothy Dalton (1690-1775). I have not resolved this issue as yet and am still working on it! At any rate, it appears that Columbus W. Dalton, husband of Mary Pauline “Polly Raby, descended from Timothy Dalton, and not from Samuel. Now, this is really a round-about way to locate the cousin status between Howard’s father and the General. In a way, it reminds me of the Robert E. Lee story that circulated in my paternal grandmother’s family for years. Yes, there was a connection–but you had to take a number of detours through various cousins getting there! I feel as though I have just flown through a hurricane! At any rate, this is what I discovered. And I think I will let it go at that! How about that! I wrote this article earlier today and tonight I have an addendum to add. So, I believe I will add it here. As some of you may know, our son Brian is battling cancer. This has been a year long fight, and it is still ongoing. Today is Veteran’s Day. Howard is a veteran of the Air Force and Brian is a veteran of the Army. We had planned to go to I-Hops this morning for breakfast, but a winter storm intercepted those plans. Then this afternoon, Brian called. The storm moved out. The sun was shining. He decided to go to Applebee’s with us for dinner. We picked him up and got there early ahead of the crowd. The dinner conversation soon changed to what I was doing and whether I was writing anything. I told him about this blog. 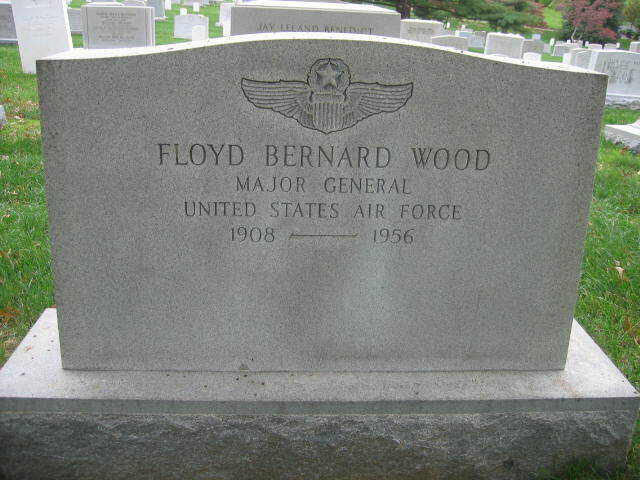 And then I told him about Maj. General Floyd Bernard Wood. Howard took over the story from there. Howard saw the same documentary. Then Howard told a part of the story I think I remember hearing long ago. Howard’s mother’s family lived on a farm outside the small town of Sykesville, Maryland. Sykesville is perhaps 40 miles from Baltimore. I believe Howard’s family lived in Missouri when this story took place. He was about thirteen at the time. His mother Mildred Lee Warfield Beall (1917-2007) wanted to visit her family, so she talked his father into driving them back to Maryland for a visit. The General was stationed in Baltimore at this time, so my future father-in-law–Edward L. Beall, Sr. (1907-1992)–decided to take his sons to Baltimore for a visit with his distant cousin. Howard actually met the General! My future father-in-law took the boys to the General’s office, and they were invited inside. Ed Beall was quite a person. Whenever someone famous was speaking somewhere, Ed not only attended the engagement, but he managed to shake the person’s hand. A partial list of famous people he met and shook hands with include: (1) Then Senator John F. Kennedy, who stopped in Cedar Rapids, Iowa while on his way to a campaign speech while he was running for President; (2) Dr. Martin Luther King, Jr., when he made a speech at Coe College in Cedar Rapids; (3) Clarence Darrow; (4) William Jennings Bryan; (5) Harry S. Truman–the Bealls only lived a few doors from his house in Independence. And when Howard was thirteen, Ed took his sons to meet the man who flew through the center of a hurricane who was his distant cousin!